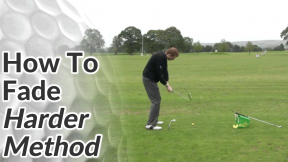 This method is more suitable to better players. 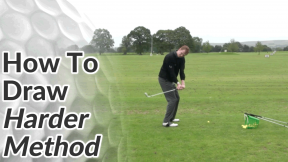 Click here for an easier way to fade the golf ball (albeit with less control). With the easier method of fading a golf ball you alter your alignment and the direction the club face is pointing at address. 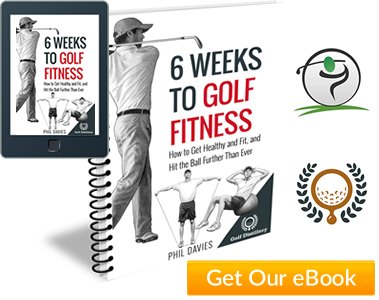 However, with this method you don’t change your setup or alignment – your feet, knees, hips and shoulders should be pointing directly at your target and so should the club face. 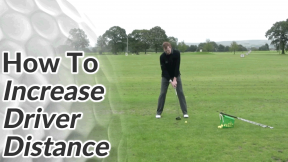 Take the club back on a slightly more outside path than normal during your backswing. 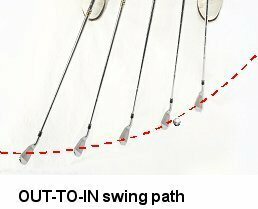 During the downswing, bring the club back down on that out-to-in path across the ball (see the image to the right). 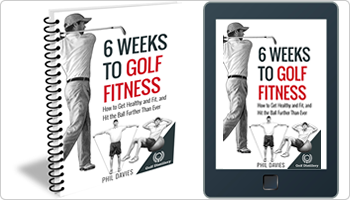 Feel as though the club is travelling on a path to the left of your target (or to the right for the left-handed golfer). 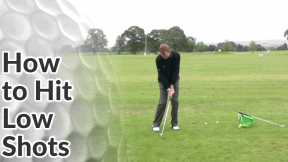 Through the impact position, try to prevent your hands and forearms from rotating. This is sometimes referred to as ‘holding your hands off’ and it’s the same feeling you should have when chipping the golf ball. 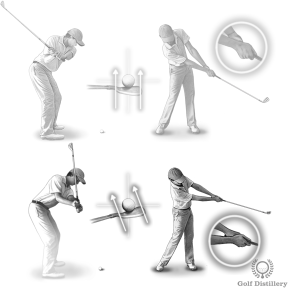 The lack of hand and forearm rotation will keep the club face open at impact, curving the ball back from left to right. 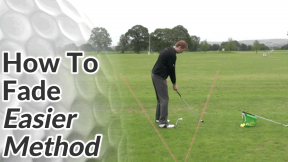 This is a more difficult method of fading the golf ball than this easier option but it gives you a more controlled, more workable ball flight.